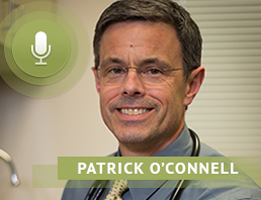 Dr. Patrick O’Connell, founder of Sentinel Primary Care, discusses his personal journey of faith and vocation, as well as, how he integrates his religious beliefs into his work as a primary care physician. Thank you for joining us for this week’s special Focus on Faith edition of Family Policy Matters. Today, I am excited to be joined by a native North Carolinian who has dedicated his life to service in the medical profession and has recently taken a big leap of faith to practice medicine more fully in accord with his religious beliefs. Dr. Patrick O’Connell, a board-certified internal medicine physician, is the founder of Sentinel Primary Care. After completing medical school at UNC-Chapel Hill, he trained at Johns Hopkins Bayview Medical Center before returning to North Carolina and establishing himself as a well-liked primary care physician with Duke Health. In 2017, Dr. O’Connell left Duke to start his own practice that emphasizes the dignity of the individual person. PATRICK O’CONNELL: Thank you very much, I’m glad to join you. THOMAS GRAHAM: Dr. O’Connell, your career has been so oriented toward service of others. Let’s try to help our audience understand how your heart became so service-oriented. PATRICK O’CONNELL: Yes, certainly. I’ll give you a bit of a highlights reel. So when I was young and adolescent my natural personality, I’m a rule follower, I’m very dutiful, I do what I’m supposed to, so it’s interesting that I never went through a rebellion phase, either toward my parents or towards my faith. By the same token, it’s not like I grew up with a personally very vibrant faith, but interestingly when I got to college, which unfortunately is where a lot of people have difficulty, that’s when my faith began to come alive and began to deepen. And then as I then transitioned on to medical school Jesus basically kicked in the front door and said, “I want you.” And so my faith really grew through the medical school years, which was a good time for that to be happening because medical school is this caldron of formation. So I came out of medical school with very strong faith, very much in love with Jesus. And then the more that I got to know Him and the more that I went into my faith, the more that I was drawn to live out my faith, to make it active in my life. In a quick overview that’s sort of my growth and path to where I am now. THOMAS GRAHAM: Dr. O’Connell, thank you for sharing that. I’m sure our listeners really appreciate that part of your story. You’ve been heard as saying, “God didn’t call me to get rich, God called me to be a primary care doctor and take care of people.” I’ve got to be truthful with you, I just love that. When did you know you wanted to be a doctor, who or perhaps what inspired you? PATRICK O’CONNELL: So the answer to the question is not what you would expect. I figured out that I wanted to be a doctor late in the third year of medical school. It’s very funny, I went to medical school because I was drawn by that science of it, the detective work of figuring out a medical problem or coming up with a creative way to treat a medical issue that has arisen is all incredibly intellectually stimulating, and that’s what drew me in. But that’s actually not what kept me there. When I got to medical school, I’m deepening my relationship with God, I had a big crisis. For the first time in my life I had this very strong feeling, not even a feeling, a knowledge, that God wants me to do something for him with my life, and I don’t know what it is. But here I am ad medical school pouring every waking hour into training myself to go down this path but I don’t know if it’s the path that He wants me to go down. I may be doing the wrong thing because I’ve never really tackled this question with this level of seriousness before. So, I actually had a big crisis when I was in medical school of saying, “Alright Lord, you want me to do something, you just tell me what it is, but you need to tell me what it is because I don’t know.” I actually was setting up to take time off from medical school to try to figure this question out, but then at the very end of my third year, right before the year off started, I worked with a family physician in the foothills of North Carolina, a doctor named Mark McMannus, and when I worked with him and he also is a Christian so we could share in our faith and I could talk about what I was thinking about, when I saw him and the way he took care of the people that he was the primary care doctor for, I recognized exactly what I wanted to do and I recognized in his example what God was calling me to do. So he’s the one who is the role model, I saw the way he would interact with his patience and really care about what was going on with them, not just treat their diabetes or treat their arthritis, but he would finish dealing with those things and then say, “How are things, how are you doing?” And he cared what the answer was, and seeing that I recognized immediately, that’s what I want. It’s the science and it’s serving the people that I would get to take care of. THOMAS GRAHAM: Dr. O’Connell, I think that’s terrific, and how good of God to bring your path together with this other doctor and let you see, modeled before you, a way to approach people with needs that goes far beyond just taking care of your prescriptions and so forth, but really looks deeper into their lives. I know that this must make for some very interesting interaction with you and you patience. How is your faith infused into the way that you interact with patients? PATRICK O’CONNELL: Yeh, there’s sort of an explicit way and maybe an implicit way. The explicit part, spiritually I’m an introvert, so I’m not drawn to pray often over or with my patients, I do and I’ve done that in the past, but it’s not, I’m stepping out of my comfort zone to do that. But other ways with the practice here, we start the day with prayer, and each day we pray for the people that are on the schedule, and we pray for people we’re taking care of that we know are going through something difficult. And I would say, in am implicit way, as I’m approaching taking care of people I’m doing it with this frame of mind that I want to take care of the entire person, not just their medical problems. So I’m not just here to fix the diabetes, or here to address whatever the case may be. I want to take care of the whole person so I want to know their family story, I want to know what work is like for them, I want to know what is important in their lives so that I can feel connected to them, partly so that when problems arise or issues arise I know how to approach those things. And then I would say too, that when issues arise that often are of a personal or a mental health nature, the way that I try to give counsel, I approach with a Christian understanding of human nature, what is good for people. So those are some of the different ways that it connects in to my practice of medicine. THOMAS GRAHAM: Dr. O’Connell, tell us about the unique model now that has become Sentinel Primary Care, why did you decide to leave one of the biggest medical groups in the country to try this particular model? PATRICK O’CONNELL: So the model, I will say I stole the model, I didn’t come up with this myself. 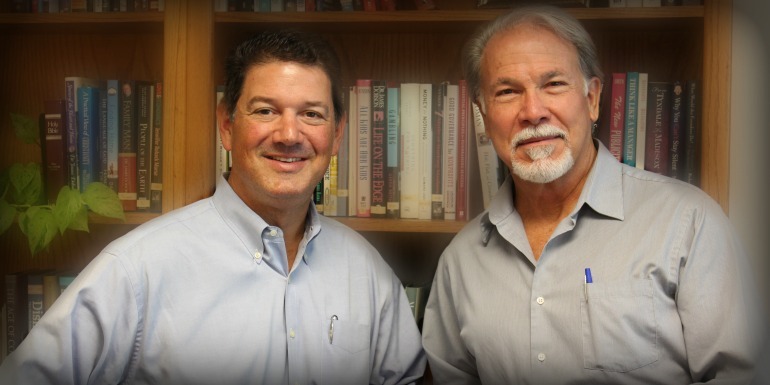 I came across it maybe ten years ago, there were two Christian doctors in California who were operating a family practice and I think they got tired of the treadmill of a typical practice, and they converted their practice to a fascinating hybrid of a direct primary care model. Meaning it’s a membership based model, so people pay a monthly membership and then the doctors would not charge the patient, or the patient’s insurance when they come in for a visit, it was all paid for by the membership, using insurance for labs or x-rays or whatever, but not to see the doctor. And they set aside a portion of the practice for people who did not have any insurance. And then their practice, because of it’s charitable work, they set it up as a non-profit, and as a Christian practice. A decade ago when I came across this I thought, “Oh, that’s just fascinating.” So when I was considering making this step of opening my own practice, that’s immediately the model that I went to. So I went and researched what exactly did they do and that’s when I created it here. And so a couple if highlights of the model at Sentinel also are the reasons that I left a traditional medical setting. So it’s a direct primary care practice so I operate on a membership fee rather than billing people’s insurance. I set aside a portion of the practice for folks who are uninsured so I can care for them as well. And the practice is a non-profit because of its charitable mission. Correspondingly, and it’s a Christian practice, so correspondingly the two things that were really the pillars of why I left Duke to come and open Sentinel. One of them is the common frustration, both on the doctor’s side and on the patients side, are the time pressures and financial pressures in healthcare where everybody has to run as fast as they can all the time and have very short visits and hustle people in and out, it’s all driven by the financial pressures. So that for me was very difficult because if I rushed I couldn’t take care of people the way that God had called me to do, but if I spent time with them I was an hour behind schedule, easy, and people were very mad at me all the time. So that was one part that was difficult. The other part is the increasing difficulty within healthcare of being faithfully Christian in the way that you practice medicine and the pressures to give in, to compromise, to capitulate, and to do things that I cannot in good conscience do for the people I am taking care of. And, I could look further down the road and say these pressures are growing and I think may become so great that I will not be employable in a standard medical setting. Those two things, both the time pressures that made it very difficult to do primary care well, and my insistence that it must be faithful, were the two things that pushed me then to take the leap. THOMAS GRAHAM: Dr. O’Connell, we’re nearing the end of our time together, and I’d like to ask this question, and that is what advice to do you have for young faithful Christians who want to get into the medical field, but are concerned about how they can remain faithful in the face of difficult medical and even scientific situations? Would you have any advice? PATRICK O’CONNELL: I would. I think there’re a few things I would say. First, knowing that healthcare is becoming an increasingly difficult field for a faithful Christian. The first thing I would say is, think very seriously about whether this is what the Lord is calling you to or not. Ask God, “Do you want me to do this?” Because if the answer’s “No” then don’t, but if the answer’s “Yes” then do it. But if the answer’s “Yes”, if God says, “Yes, this is where I want you,” then the two things I would say; one is inform yourself, learn, educate yourself about the issues that are at the intersection between our faith and healthcare, so all the bioethics issues, educate yourself. And the second thing is put on your armor because it’s gonna be a fight, it ain’t gonna be easy. THOMAS GRAHAM: That’s excellent advice. Dr. O’Connell, where can our listeners go to learn more about your practice Sentinel Primary Care and also to just stay on top of bioethics issues? Do you have a website? I’m guessing that you do. PATRICK O’CONNELL: I do, so sentinelprimarycare.com is the practice website, or folks can just Google my name, Patrick O’Connell, MD, Raleigh, and I’ll come up. So folk can go and read much more about the practice and learn more about the model and what we do. For the bioethics issues, so for formation, couple of resources I would suggest, one is the Christian Medical and Dental Association, their website has a lot of resources on it. And then for folks who are just kind of interested to knowing what’s going on there’s a website you can sign up for an email notice: bioedge.org. THOMAS GRAHAM: We’ve come to the end of our time together Dr. O’Connell. Thank you so much for being with is on Family Policy Matters today and for your faithful witness and your fortitude in medicine too, and blazing a new trail, God bless you my friend.